Last month, Rock the Earth participated in JP Morgan Chase’s Code for Good – a challenge open to tech-savvy university students designed to provide them a chance to put coding skills toward developing innovation for non-profits. Rock the Earth’s Marc Ross and Jennifer Farthing went to New York to present to more than 200 students, who are some of the brightest in the nation. Students moved into teams, and select students chose Rock the Earth to move forward to develop a technology solution for the organization. Over the course of 24 hours, students worked side-by-size with expert JP Morgan Chase technologists, learning from experience as students creatively solve real-world problems faced by social organizations. 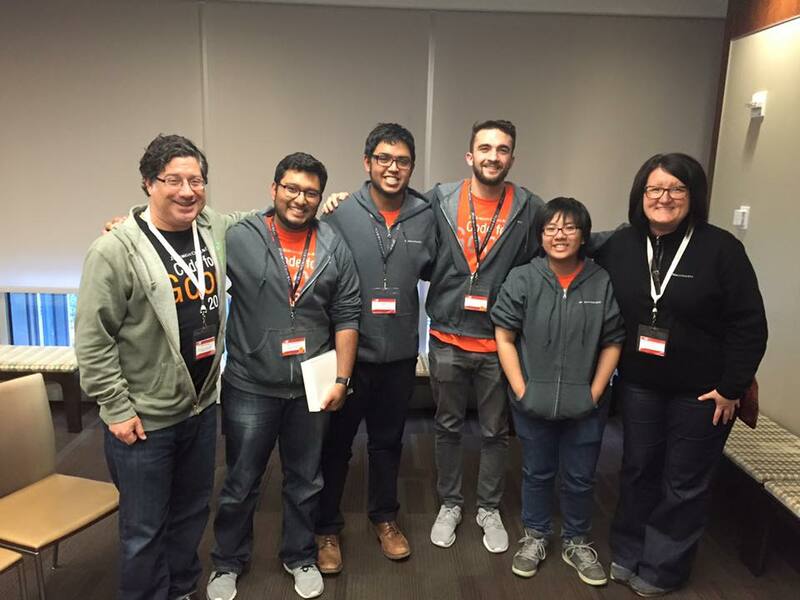 Out of 24 teams coding for 19 hours for four nonprofits, one of Rock the Earth’s student teams was the overall winner for Code for Good NY. Big thanks and congratulations go to Saquib Banna, Shuyu Chen, Rafi Rizwan, and Basil Vetas. In addition, two of the other teams working on the Rock the Earth project won Best Technology, and another was runner up for Best Technology, meaning a total sweep for Rock the Earth of the college division! The student teams developed a new technology to revolutionize how Rock the Earth will conduct education, outreach and citizen activation. Thanks to JP Morgan Chase’s Source for Good program, JMPC technologists will take the best ideas from the competition and complete the technology for us in 2016! Next year, Rock the Earth will have a fully functioning mobile application to use for campaigns and petitions, as well as a website portal and social media broadcasts to amplify each campaign. This will also encompass a back-end solution that will provide the Rock the Earth team with the analytics and functioning of both. Not only is this great for Rock the Earth, but also this technology will change how ALL organizations – environmental, social and political – can conduct campaigns moving forward. Once completed, the technology developed for Rock the Earth will be open source and fully adoptable and adaptable by any organization. This is a wonderful achievement, and a great way to use technology for a greater cause.